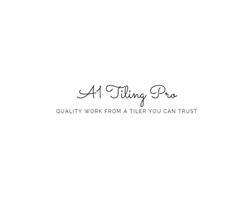 A1 Tiling Pro - Tiler - Tiling based in Mitcham, Surrey. A1 Tiling Pro is a family run business that prides their selves on their Tiling skills & workmanship, no job is too big or too small. As tiling has been passed down from generations we are able to offer the best advise for your tiling work. Every job we carry out is 100% guaranteed for 12months and no job is fully completed until the customer is 100% Happy. The areas we cover are Surrey, London & Middlesex. We cover all aspects of Tiling from standard Ceramic Tiling to Porcelain, Granit & Natural Stone. We also specialise in Mosaic Tiling & Victorian pathways. We offer an end-to-end client experience that includes seamless communication, budgeting, on-site organization, and solid, quality tiling works every time. We have worked with homeowners and designers to produce work we think you'll love. Call us today and bring our project management skills and extensive tiling experience to your next project.